Digital Fishers, our citizen science website that recruits people on the Web to help researchers gather data from video . Scientists used our underwater cameras to record 1 minute of video every half hour for the project. 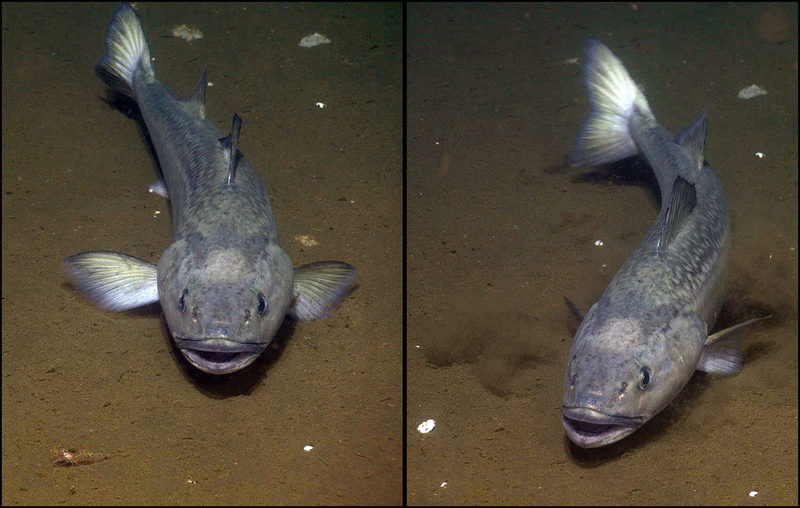 They're studying the behaviour and activity rhythms of sablefish (black cod) living at the seafloor in Barkley Canyon. We're asking you to count the number you see in 15-second video segments. Scientist: PhD student in Spain who is investigating the influence of daily and tidal cycles on the activity of sablefish. Biology Class: 60 students in a University of Victoria biology class who viewed these videos and counted fish. Computer: An automated fish detection algorithm developed by a computer scientist. Crowd: You and anyone else who wants to participate! With your help, scientists will compare the results from the 4 teams to find the best ways to process large amounts of video data. They hope to publish their findings in a leading science journal. We invite you to participate in this unique research project. Using Digital Fishers, count the number of sablefish (black cod) you see during individual 15-second video clips. At the end of the 15-second clip, the video pauses. You can then select sablefish (black cod) and a corresponding number (0-10) from the dropdown menu under the Sealifecategory, as shown below.